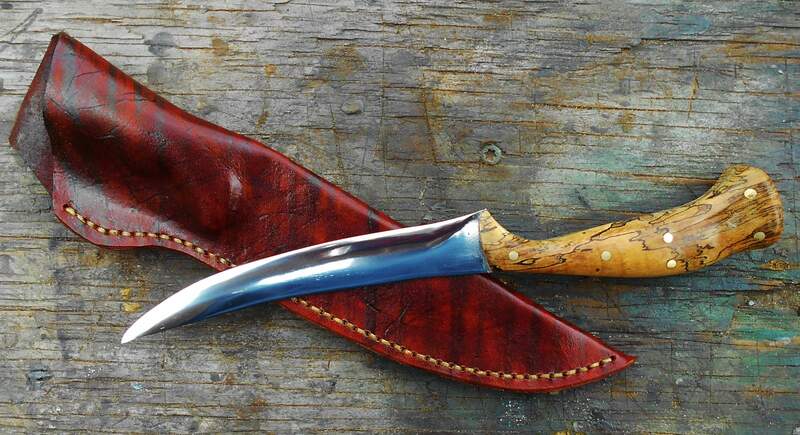 Blade Length - about 5"
Overall Length - about 9-1/4"
NOTE There is a different sheath for this knife. The tip kept cutting through the leather. Price - $150 shipped in US. 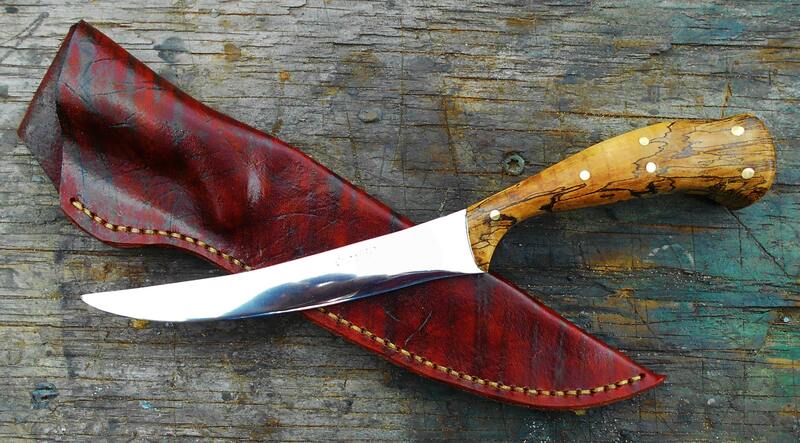 I haven?t made any trailing point knives but I?ve made sheaths for a few and I?ve had a couple do-overs myself. Very snazzy as my dad used to say. 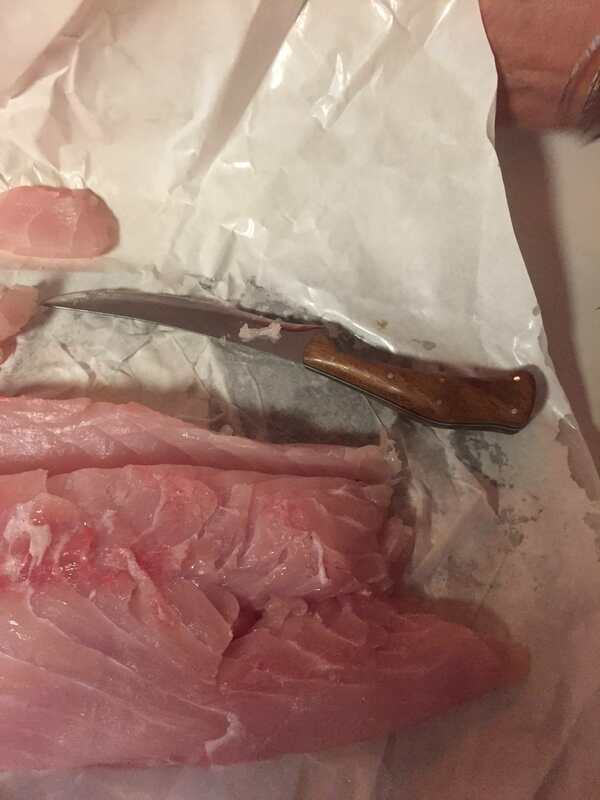 Used my CrashBlades Fillet Kife tonight to skin some grouper. Cut through it like butter. Love this knife.